[dropcap size=big]H[/dropcap]ow open should we be to forgiveness? Though the response will vary from person to person, the answer presented in The Glass Castle is one of optimism. Despite profound badness or harm, if one can somehow find the shreds of goodness in any situation then perhaps forgiveness will come easier to them. Based on the 2005 memoir of the same name by Jeannette Walls, The Glass Castle attempts to offer its own brand of wisdom through the real life experiences of its author. Like the book, the film recounts the story of Walls’ (Brie Larson) childhood, her upbringing with her siblings and her very eccentric and occasionally erratic parents, particularly her father. Living a nomadic lifestyle that saw the family move from home to home and state to state, often without proper living conditions, young Walls is constantly captivated by her father Rex (Woody Harrelson). Though genuinely caring and loving for his children, his personal demons begin to take their toll on the family and the children’s perception of him as a perfect dad. As the years progress Rex becomes despicable in the eyes of his kids, and questions arise about whether he should be shunned or forgiven despite his faults. Though the film is admirable in its handling of themes of forgiveness and redemption, it often treads into overly familiar and sentimental territory. The screenplay was not written by the author Walls, but by director Destin Daniel Cretton and Andrew Lanham, and feels many times like a manufactured piece instead of a real life story. The fact that this is a real story makes the premise all the more intriguing, but it unfortunately comes off as a Hallmark TV channel film. 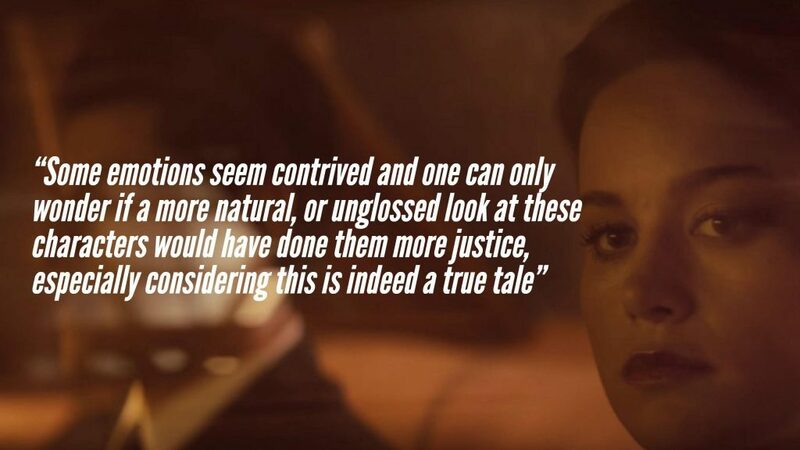 Some emotions seem contrived and one can only wonder if a more natural, or unglossed look at these characters would have done them more justice, especially considering this is indeed a true tale. That being said the film still manages to get its themes across and is generally moving. Its bright spot however is undoubtedly Woody Harrelson’s lead as Rex. A very complex character who is both devoted and neglectful of his family (often at the same time amazingly), Rex is a charming dreamer and lover of life, who is nearly consumed by his addictions to alcohol and righteous moral views. Harrelson is a real delight in this movie and embodies Rex convincingly and very movingly; he is both sympathetic and repulsive and most definitely steals the scene whenever he is on camera. The other cast members including Brie Larson and Naomi Watts as Rex’s wife Rose Mary are also respectively strong, playing off Harrelson’s Rex in a manner that is both loving and saddening. While improbable at this point, it would be most warranted for Harrelson to pick up a nomination or two. Despite the screenplay and often times contrived feel of the story, Woody is able to transcend it most of the time to create the most compelling character in the entire movie. The film works excellently from an acting perspective, especially because of Woody Harrelson. An actor who has shown versatility in roles before, he steps up to the plate again and creates in Rex a really affecting personification. It’s hard to stop thinking about him when he’s not on screen, and when he is on screen he lights it up brilliantly. And so if the story falters a bit and may seem like a narrative you could see on a TV movie, Harrelson alone is enough to recommend it. 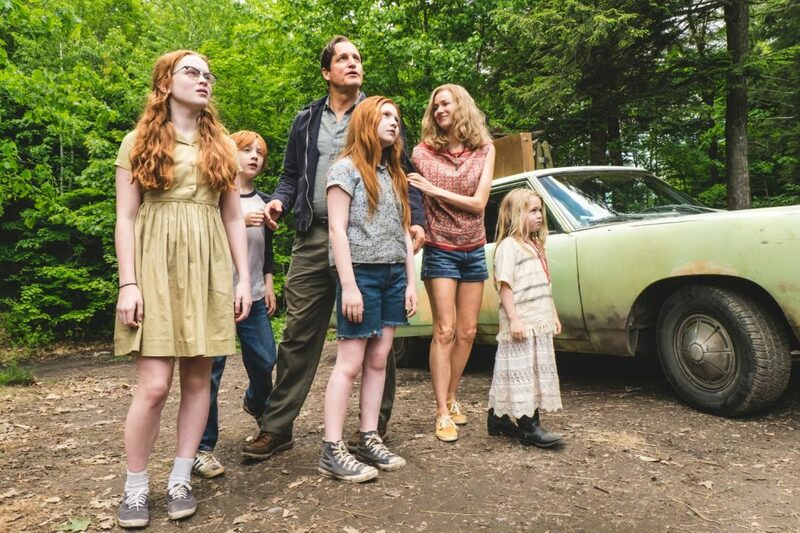 Ultimately, The Glass Castle, does succeed in being moving and thought provoking, even if it approaches its material with a little too much restraint and a glossy overlook. There is a feeling that the film could have been much more powerful if it had perhaps been grittier and not so idealized, but still the message is clear: in the midst of both love and hate, looking for love will help trump the hate always.